This entry was posted in Intereses Varios and tagged amlo, anaya, elecciones 2018, meade, peligro para mexico, venezuela, voto de castigo. Bookmark the permalink. This entry was posted in Intereses Varios and tagged amlo, anaya, corea, elecciones 2018, meade, venezuela, voto de castigo. Bookmark the permalink. This entry was posted in Marco Legal y Regulatorio and tagged Capital Privado, Marco Legal y Regulación. Bookmark the permalink. 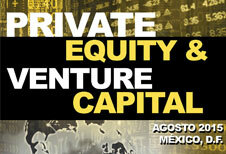 This entry was posted in Emprendedores and tagged Emprendedores, fondo de búsqueda, incmty, search fund. Bookmark the permalink. This entry was posted in Venture Capital and tagged capital emprendedor, Capital Privado, start-up, unicornio, Venture Capital. Bookmark the permalink. This entry was posted in Capital Privado and tagged Capital Privado, imef, reseñas. Bookmark the permalink. This entry was posted in Capital Privado and tagged Capital Privado. Bookmark the permalink.